If you are reading this paper while it’s still hot off the presses, then here’s a tip: get to the VanCity Theatre as fast as you can and catch Munyurangabo, a stirring independent film, made in Rwanda, that is playing at that theatre for a few days until November 30. If you miss the film’s Vancouver premiere, don’t worry; the film, which has been making its way around the festival circuit for the past two and a half years, also came out on DVD several weeks ago. So, one way or another, you should be able to find a copy. But for Christian viewers, there is an extra hook, as it were. 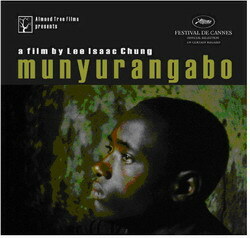 Munyurangabo was directed by Lee Isaac Chung, a Korean-American, while he was teaching a course in film and photography at a Youth With A Mission relief camp; and the two main characters are played by street kids that Chung met through YWAM’s soccer-outreach program. Chung, who had never directed a feature-length film before, shot the film in 11 days with the help of his students – and it’s a remarkably masterful and assured bit of work. The story concerns two boys – one Hutu, one Tutsi – who leave the city for the countryside while packing a machete, presumably to get some kind of revenge. Along the way, the Hutu boy is reunited with his family, but his parents remain suspicious of the Tutsi boy – and these tensions play out in deeply ironic ways that you don’t quite expect. Just as important as the story, though, is the way Chung tells it. Just as he uses a mix of wide and close-up shots to balance the story’s intimate qualities with its broader, more national implications, so too he alternates between starkly realistic drama and techniques that break the fourth wall, most notably when a poet addresses the camera. Chung himself is a Christian, and it is very much to his credit and that of YWAM that he was able to make a film that was not just a training exercise or an evangelistic tool, but a genuine and challenging work of art – and one that gives a voice to Rwandan people who have all too often been relegated to the background of other people’s stories. May there be more films like it. Contact 604.683.FILM or VIFC.org for showtimes. The Blind Side has something for everyone. It’s based on the true story of Michael Oher, a poor black teenager who was adopted by a well-to-do white family and went on to become a successful football player. So right off the bat, it tackles subjects like sports, high school and race relations. So with all those bases covered, and a decent mix of drama and comedy courtesy of writer-director John Lee Hancock (who knows his way around sports movies, having directed the Dennis Quaid baseball flick The Rookie), the film is definitely a crowd-pleaser. And yet, for some odd reason, it didn’t quite come alive for me. It does have some nicely effective performances, especially in the supporting roles; and Quinton Aaron does fine work as Oher, suggesting the potential that lurks within this gentle giant who is smarter and more soulful than his 0.6 GPA and 350-pound body suggest – but has been held back due to various social and personal problems. But the film’s very crowd-pleasing nature gives it a somewhat artificial feel. It is, of course, possible that everything we see here happened exactly the way it is shown. But a documentary might have made the point more effectively. The Sunday Mail reports that Jeremy Irons is going to star in a film about St. Columba, the Irish monk who brought Christianity to Scotland in the 6th century. The film, currently titled The End Time, will be directed by Norman Stone, whose credits include the original 1985 version of Shadowlands and the quasi-documentary C.S. Lewis: Beyond Narnia.